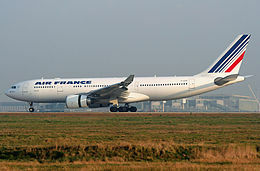 Every journalist who has writtten in the past few years about the 2009 Air France accident has eventually ended up asking the same question … why did an experienced crew react to the weather the way they did, as well as to the failure of some of the flight instruments aboard the A330 and why did none of them recognize that their airplane was falling from the sky. Now we might have at least one of the answers; sleep deprivation. The National Sleep Foundation reports sleep deprivation can impair a person’s reaction times and performance even more than alcohol consumption. The more significant the deprivation, the greater the impairment. The French news magazine Le Point broke a story on Saturday based on a transcript of the Air France 447’s cockpit voice recorder that until now was unknown. Le Point reports Captain Marc DuBois telling his two cockpit crewmembers less than two hours after departure from Rio, “I didn’t sleep enough last night. One hour – it’s not enough.” Another story in Saturday’s Mail Online said the two co-pilots also lacked adequate rest before the Rio to Paris flight began on the evening May 31, 2009. Flight crew rest, especially for pilots traveling across multiple times zones as was the Air France crew, has become the focus of major regulatory actions in both the U.S. and Europe over the past few years. The revelations about the fatigued states of these pilot before they began what would have been a 10-hour flight to Paris are certain to alter how the industry evaluates the amount of rest any flightcrew has had prior to takeoff. The original BEA accident report published in July 2012 said the BEA, “was not able to determine exactly the activities of the flight crew members during the stopover in Rio, where the crew had arrived three days earlier. It was not possible to obtain data on their sleep during this stopover.” The BEA then had no real sense of how much sleep the captain or the other pilots may have had at all during the layover, only that prior to the flight that night — according to this new report — they were already sleep deprived. From the general conversations evaluated in the BEA report, as well as the fact that required cockpit duties seemed to get finished on time, the BEA initially believed fatigue was not an issue. Precisely why the information about the pilot’s fatigued states was never made public until now — not even to the families of the victims — is unclear. Some sources believe the French judicial system may have classified the information as private. Obviously it’s not private any longer. The level of Captain Dubois’ fatigue and his slowed reaction time might explain how long it took him to return to the cockpit when called by the two co-pilots. It might also explain Dubois’ inability to take command of the situation when he did return and use his skills to halt the A330’s plunge into the waters of the South Atlantic killing everyone on board. Sleep deprivation would also have slowed the reaction times of the other two pilots during the emergency. This entry was posted on Sunday, March 17th, 2013 at 5:38 pm	and is filed under Airline Pilot, Airlines, Aviation Marketing, aviation safety, The Buzz. You can follow any responses to this entry through the RSS 2.0 feed. Both comments and pings are currently closed. I believe you are correct on this. There is evidence to support it. One might tend to conclude that Bonin clearly said he wasn�t tired. After all they had only pushed back three hours earlier. But the captain follows up with �it�ll be a lot for you.� Thus apparently knowing and trying to convince Bonin that he�d already had a long day and was probably not well rested. When Robert returned from his break and described his ability to sleep on his break as �so-so,� he asked Bonin if he was OK. He probably had a reason to ask. Studies show that 17 hours awake is equivalent to .05 alcohol level. The combination of the startle effect with a diminished mental capacity due to fatigue, during a time when there was a need to think quickly and accurately, may have led to the failure to maintain level flight initially, and then to the apparent confusion which inhibited their ability to comprehend and recover the airplane. It has been proposed that the issue of fatigue would have been overridden by the adrenaline of the moment. But, adrenaline helps with the fight or flight response, and would have helped him with physical strength tasks, but I don’t think it has the same effect on clarity of thought – and that’s what they needed. They needed to know to push forward on the stick, not more strength to pull back. Nice comments, Bill. I have done some research on the subject. There is significant cognitive degredation directly associated with fatigue and circadian rhythm disruptions. At Fed Ex, we refer to it as the “it hurts to think” syndrome. This is a result of not being rested for duty due to layover circumstances or several time zone crossings (including the dateline). I have crossed a lot of oceans and many time zones. Some days are better than others, and the better equipped you are to mitigate fatigue causing issues, or make the “fatigued” call to sked the safer you are, period. The worst evaluator of our individual fatigue state, unfortunately is ourselves. And let’s not forget that Bonin was also still a young co-pilot compared to the other two men. Let’s not forget that incredible ego we all seem to share. He clearly wouldn’t have wanted to admit he couldn’t keep up. My guess is that one of these days someone will uncover what these guys were up to on their layover that caused them to be so worn out. The fact that there’s already criminal proceedings in the works against Air France makes me believe there are other folks already digging for that information. And while I’m at it guys let me mention one other thing that just makes me crazy about this revelation. Showing up to fly an international trip of 10 hours with almost no sleep is just completely unprofessional. This captain should have known better than this but apparently not. And he managed to stomp all over the reputation of all the other crewmembers as well as Air France … and of course 227 other innocent people this guy took with him. We’ll never really know what kinds of decisions this captain COULD have made if he’d had a decent night’s sleep. Please can anyone explain..how a crew can report for duty tired or fatigued after a 3 day layover?.They have the responsibility to report if not fit to operate,possible delay the flight get sleep and thats it. Unprofessional you say…its much more serious than that it begins with the letter C….. The full tapes should be revealed at French Court. Just what did this crew do with the rest time provided 3 days. I know we should be respectful of these poor guys because they’re gone, but showing up to the airport for a long flight exhausted is just plain unprofessional to me. Pilots today need some stick and rudder time, and learn what makes an airplane fly. Computers are fine and do a great job, but when they quit, you got your hands full. one needs some round instruments, as a backup, and use them to stay proficent flying by hand. We don’t have pilots any more, we have computer watchers. Good timing on that. The FAA recently released a safety alert to airlines in January advising to make sure pilots have opportunities and encouragement to hand fly when appropriate.